Many people ask me how I book hotels. What are the sites I use to score a good deal. I have written about this in the past so as a continuation here is the other sites I have discovered recently. Most of the times I use my loyalty programs especially if there is a particular property I want to stay in or if I am running for a promotion. Sometimes though properties in certain cities can be very expensive. As I am heading to Budapest, a city known for cheap five-star properties, it happens to be Easter in the area and hotels are either fully booked or very expensive. So this leaves me looking for a bargain. Let the games begin. I managed to bag myself a two night stay in the Hilton Budapest via two websites for almost half the price. One of the reasons why I love hotels combined is the fact that it can search any other OTA (Online Travel Agency) and find the cheapest option. Sometimes because they are affiliates with the other sites they have some extra discounts. 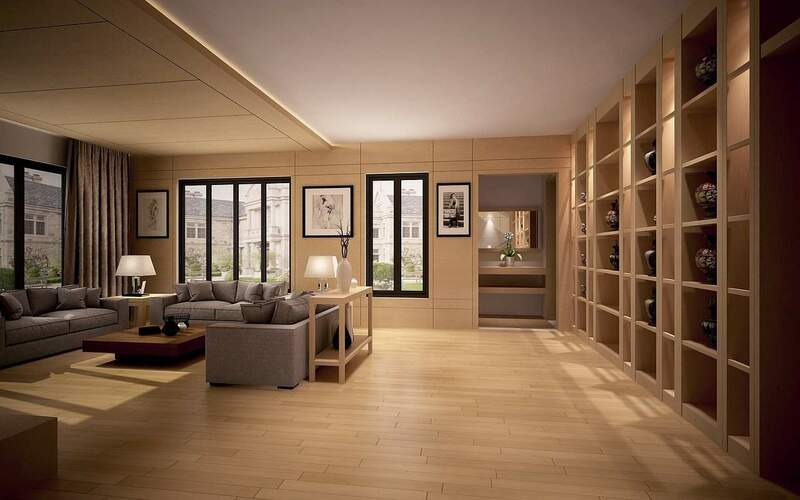 I managed to get the Double Tree hotel in London last year with Hotelscombined through Amoma for a great deal. I usually just filter and search the site for 4 or 5 star properties in a certain price bracket starting with the lowest. This way I can scan more websites than going to each other individually. When Travelpony was a new website they had some very generous offers. I had received a $50 coupon when signing up but actually never used it so I thought I would give them a go. 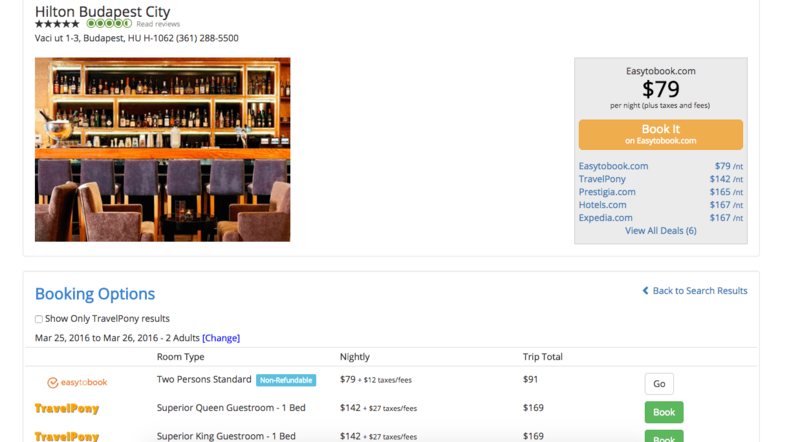 Currently the site not only sells their hotels but also aggregates the cheapest hotel prices via other sites. Basically working in a similar way to Hotelscobmined. 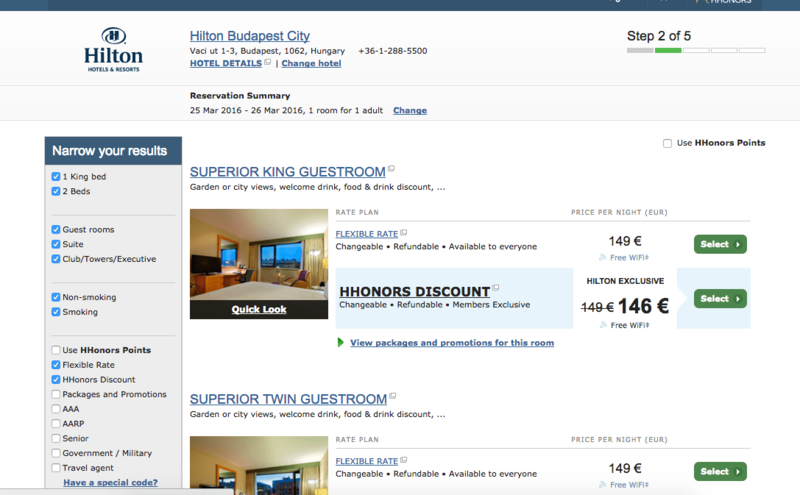 The Hilton Budapest was $200 on the Hilton website and other major OTAs plus for one of the dates it was fully booked. I even called Hilton to ask about this and the customer service guy actually told me to go and book with another site! However it was showing availability on TravelPony in a supposedly fully booked property for $90 including breakfast and fully flexible terms. This was a bargain you can’t resist. Considering how expensive the properties everywhere else where I just booked it using my $50 coupon and netting it at $40 for the night. Had I booked the second night then I could have bagged it for $75 including breakfast. I decided to wait since I was running for the IHG promo this quarter and wanted to make sure I book every other stay beforehand. By the time I decided to book it was gone on Travelpony but the Hoteltravel.com was selling it for $96 instead of the $160 per night on the website. It was actually cheaper via the Travelpony link as well rather than directly on the site. There have been numerous times where I have found some excellent prices on the Hotelscombined and Travelpony and from experience I would totally recommend you looking at them first if you are looking for cheap hotels. They might not always work but they seem to always have some excellent hotel deals.